The Heereswacht was commissioned by the War Council for the summer campaign with the protection of the Retinue and the internal security of the camp. It is a neutral party between the individual banners and groupings. They also assume police duties as long as the individual banners permit it. On the Jenseits der Siegel, the Heereswacht has a representative task and participates in the planning for the next summer campaign. It is the task of the Heereswacht to ensure law and order in the whole camp. In the camp, several of the Heereswacht (pics) are always on patrol, while in the barracks there are prison, jurisdiction, administration, hospital and trade to be portrayed. InTime, there is a clear hierarchy in the Heereswacht, but it leaves room for individual characters - from the righteous order keeper to the meticulous bureaucrat to the corrupt or jagged watchdog. OutTime it is the goal to contribute to a beautiful, atmospherically dense game. 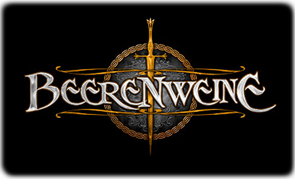 The Heereswacht wants to create cool scenes with and for the players and set a good example. One would like to be taken seriously InTime as a respectable police force and OutTime as a welcome partner to play with.